Grundy and Anderson don’t merely outline the problem; they offer solutions. Forget politics for the moment; beyond all the rhetoric, all the posturing, one thing is clear: The American health care system desperately needs repair. But consumers can find excellent care if they know how and where to look. That's the premise of Lost and Found: A Consumer's Guide to Healthcare, a new book from Paul Grundy, MD, MPH, FACOEM, FACPM, and Peter B. Anderson, MD. Grundy, director of IBM Global Healthcare Transformation, is the founding president of the Patient-Centered Primary Care Collaborative, where he worked closely with Health2 Resources. Anderson is founder and president of Team Care Medicine. They bring decades of firsthand experience in and passion for primary care medicine. Grundy and Anderson don't merely outline the problem; they offer solutions. They wrote the book to educate consumers and help them navigate the obstacles that stand between them and high-quality, affordable health care. The health care system can prove baffling, says Anderson. "Even as a patient's familiar physician it can still be very difficult to choose the right treatment plan -- and yet today so many people end up seeing a provider who doesn't know them. Patients' lack of access to a known provider makes it almost impossible to receive truly comprehensive, cost-effective care." It makes sense that Grundy wrote a book for consumers. "If you distilled all the work I've done over the last decade, it comes down to supporting a healing relationship between a patient and a primary care clinician--or more accurately, a primary care healer," says Grundy. "So many of my conversations have been with policy makers, physician groups, insurance executives and employers. With this book, I'm able to open the conversation with the ones who really matter: the patients." 1. Find and keep a familiar physician. 3. Use the appropriate preventive screenings your provider offers. 4. Understand insurance plans and select which is the best fit for you and your family. 5. Shop for health care procedures and pharmaceuticals. 6. Understand what the future of health care looks like. 7. Challenge unreasonable charges and bills. 8. Navigate the best resources for assistance if you're under-insured or not insured. To buy the book--or just to read the glowing reviews --visit http://www.amazon.com/Lost-Found-Consumers-Guide-Healthcare/dp/1633931889. To read more from Paul Grundy, see his interview at http://www.health2resources.com/Paul_Grundy_IBM_PCPCC.html. Grundy and Anderson, as part of their book launch, are participating in Baffled Health(TM), a new feature in Health2 Resources' weekly news brief, H2R Minutes. In January, look - more precisely, listen - for them to share insights on what still baffles them about health care. Founded in 2009 by Dr. Peter Anderson, Team Care Medicine is a health care consulting and training company dedicated to revolutionizing health care delivery with innovative clinical solutions and empowered exam room teams. Visit Team Care Medicine at teamcaremedicine.com. Founded in 1998, Health2 Resources is a full-service communications and public relations firm that exclusively serves health care clients throughout the U.S. by offering a full range of research and public relations support. It works closely with local, state and federal policymakers and regulatory agencies to build and improve relationships on behalf of a mix of clients that buy, pay for, provide and evaluate health care. 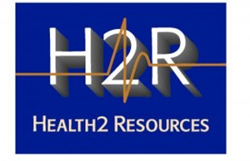 Visit Health2 Resources at http://www.health2resources.com.